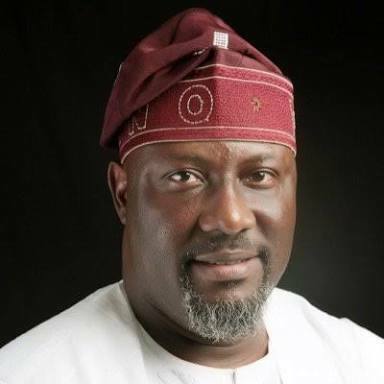 Effort To Recall Sen. Dino Melaye Fails As Verification Materials Hijacked. The recall verification exercise of the senator representing Kogi West, Mr Dino Melaye has failed after the verified signatories to the petition for his recall fell short of requirements. Although some hoodlums attacked the office of the Independent National Electoral Commission(INEC) in Mopamuro Local Government of Kogi state on Saturday. One of the INEC staff, who spoke on condition of anonymity, alleged that the hoodlums were political thugs who accompanied an aide of the governor to the INEC office to challenge the outcome of the verification exercise as it did not favour them. The hijack of the result sheets at the council, was one of the low points of the exercise to recall Senator Dino Melaye, who represents Kogi West in the Senate. The verification of the signatures calling for his recall was marred by low voters turn out at many polling units. Correspondent who monitored the verification exercise reports that between 70- 80 per cent of the petitioners in all the 10 wards in the council failed to come out to verify their signatures. The exercise which lasted for six hours from 8am to 2pm, was very peaceful, free, fair and credible as the scanty petitioners were seeing verifying their signature with low turnout. In Ward 01 (Units: 001; 002; 003) , Ward 03 (Units: 01; 02; and some other units in other wards, only 20 to 25 per cent of the petitioners were recorded as counted by the poll officers. Many voters expressed their displeasure over the appearance of their names on the recall register, saying they were shocked because they never at anytime signed any document for Melaye’s recall. One of the voters at Ward 06, unit 04, Mrs Funmilayo Ojo, said that she was surprised to see her name among the petitioners, saying “it shall not be well with the perpetrators of such act”. Also INEC has said that it cannot be held responsible for the poor turnout of petitioners in Saturday’s verification of signatures for the recall of Sen. Dino Melaye. In Koton Karfe and Lokoja, the people conducted themselves well, although the turnout was poor. OPC Demand Buhari’s Intervention Over Killed Member, Issued Warning Press Statement. Full Text Of President Muhammadu Buhari’s Address To Nigerians On January 1st, 2018.